Read an exclusive interview with Andrew Burt, chief privacy offer and legal engineer at Immuta Inc., on data governance and machine learning integration. 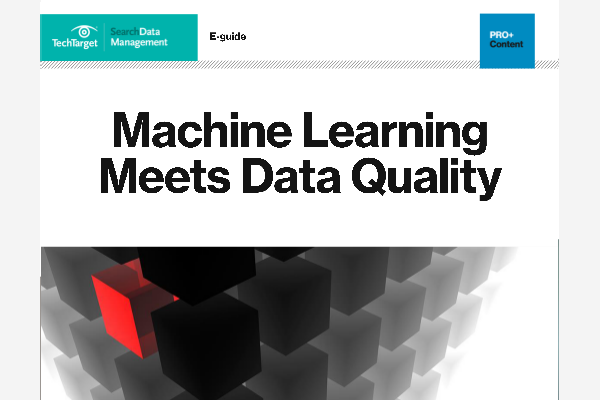 Plus, uncover steps IT managers are taking to improve data quality in their big data environments in order to ensure analytics accuracy. Tools such as Unravel and Pepperdata offer a way to measure performance of big data cloud applications, which may aid companies with on-premises configuration issues. Machine learning will bring change to analytics and data management, said data luminary Michael Stonebraker. Others agree managing such change will take special effort. Many data professionals have yet to solidify traditional data management practices, but they have a new set of challenges to overcome to ensure data privacy and avoid misuse. Apache Kafka and Apache Spark connectors ease use of the Aerospike NoSQL data store in high-speed applications such as analytics that are becoming more broadly supported. What's the difference between DDL and DML?